Online grocer BigBasket.com has raised $150 million (about Rs 1,000 crore) in an expanded round of funding led by the UAE-based private equity investor Abraaj Group. Abraaj said in a statement on Tuesday the round saw the entry of new investors such as the International Finance Corporation and Sands Capital and participation from existing investors such as Bessemer Venture Partners, Helion Advisors, Zodius Capital and Ascent Capital. The development comes two months after Bangalore-based SuperMarket Grocery Supplies Pvt Ltd, which operates BigBasket, said it had garnered investment commitment of about $100 million as part of a targeted $120 million fundraising plan. BigBasket will use the proceeds of the latest round of fundraising to expand into existing markets, establish a presence in Tier II cities across India and increase the product range offered to customers, the Abraaj statement said. VS Sudhakar, co-founder of BigBasket, said in the statement that the company aims to increase the reach of its recently launched one-hour express delivery service and launch a marketplace for specialty stores in coming months. "This coupled with an expansion in our range of private label products will create a solid foundation for growth in both revenue and profitability," he said. For Abraaj, this is the third investment in India over the past five months. In October last year, Abraaj agreed to form a renewable energy joint venture with the diversified Aditya Birla Group. In January, Abraaj agreed to acquire a majority stake in Hyderabad-based multi-speciality hospital chain CARE Hospitals from PE firm Advent International. The funding also marks Abraaj's third investment into the global e-commerce market, following its acquisition of stakes in Turkish online retailer Hepsiburada and Dubai-based mobile application taxi service Careem. Founded in 2011, BigBasket is headquartered in Bangalore and currently operates in eight metro cities and 10 Tier II cities. The company sells about 19,000 products across 1,000 brands, including fruits, vegetables, meat, beverages and personal care products. In August last year, BigBasket.com had raised $50 million in a round led by existing investor Bessemer Venture Partners. BigBasket.com averages five million monthly unique visitors and executes about one million orders a month. Its mobile application has been downloaded bymore than a million users, the statement said. BigBasket mainly competes with hyperlocal online grocery startups Grofers and PepperTap. In November, Grofers had raised $120 million from SoftBank, Tiger Global and others. PepperTap raised $36 million from Snapdeal and others in September last year. 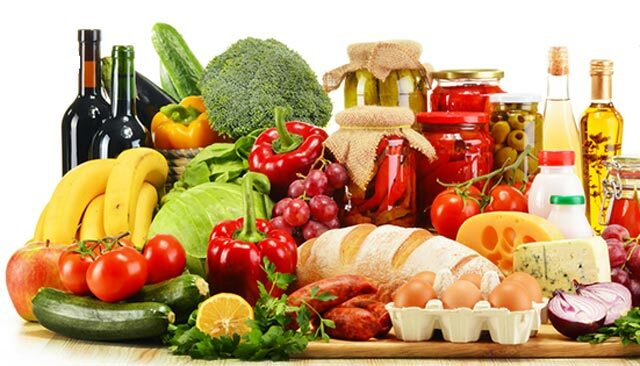 Abraaj Group bigbasket International Finance Corp. SuperMarket Grocery Supplies Pvt. Ltd.